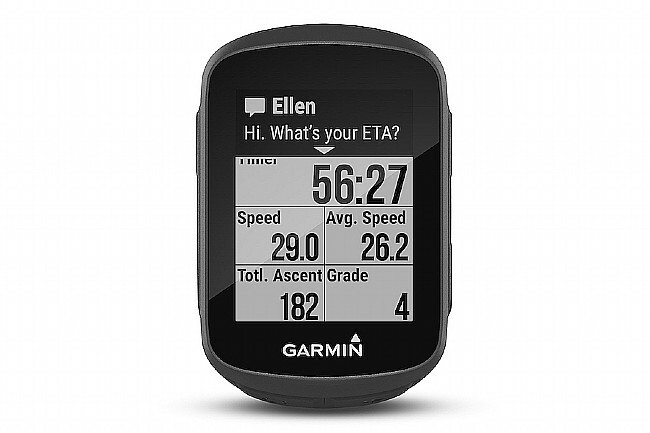 Get instant data and automatic street cred with Garmin's brand-new Edge 130. This rugged, easy-to-use, compact GPS cycling computer shows how far, how fast, how hard, how high and how to get back home. Edge 130 helps you find your way with downloadable routes and turn prompts. 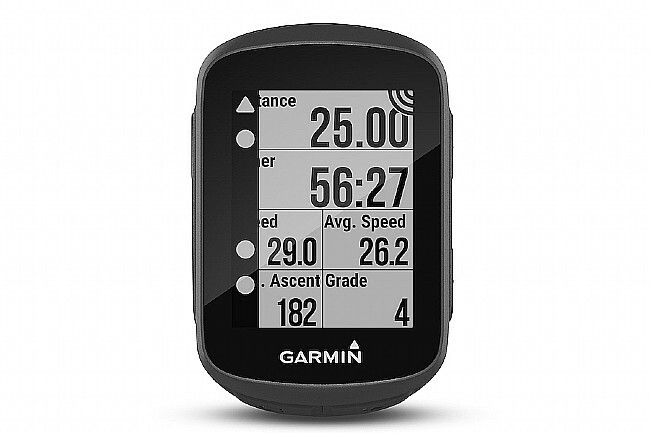 At 1.8", the Edge 130's display is on the smaller end of Garmin's line-up, offering a simplified readout of all the information you've come to rely on. 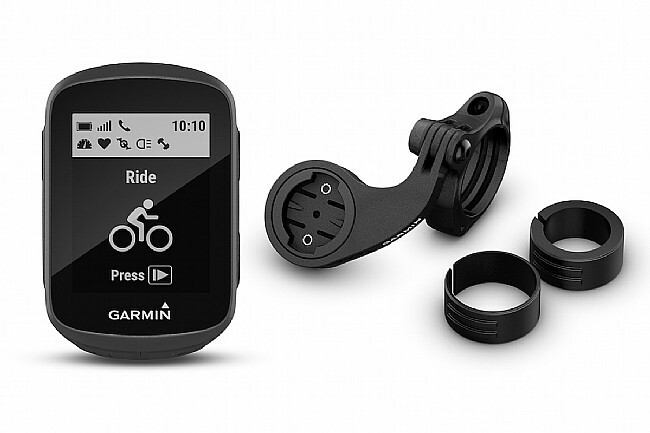 Get Course Navigation for on- or off-road rides through the Garmin Connect™ app on our smartphone, downloading new courses for turn prompts and a breadcrumb map on the Edge 130. Add cycling awareness features when you pair Edge 130 with Varia™ bike lights and rearview radar. Add cycling awareness features when you pair Edge 130 with Varia bike lights and rearview radar. 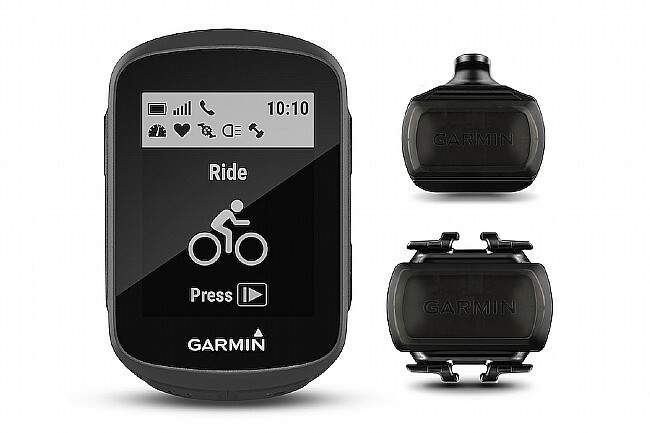 The Garmin Edge 130 comes in two different Bundles, both packaging the Edge 130 with bundle-specific accessories. Compact, rugged, and easy-to-read GPS cycling computer. GPS, GLONASS, and Galileo connectivity tracks your route, speed, and other metrics. Course Navigation available through turn prompts and a breadcrumb map. Using the Garmin connect™ app, download on- or off-road courses through the online community. Smart Notifications when paired with a smartphone. Compatible with Varia™ cycling awareness accessories. Up to 15 hour battery life. Awesome upgrade from my Garmin 200 ! ! ! Love everything about it. Works great ! ! !